We’re the best source for Miami-Dade real estate investors to find great discount and investment property in the Miami-Dade, FL area. We’re constantly picking up new properties and always have properties available. 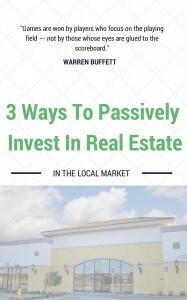 Once you register you’ll be taken to our Miami-Dade investment properties page. Whenever we get new properties in we’ll put them up on that page and notify you by email. 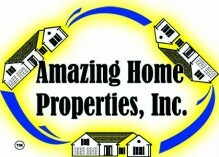 Carlos Fojo, founder of Amazing Home Properties, Inc., holds a Low Voltage Electrical Contracting License in Florida. He successfully qualified for over 17 years South Florida Security Systems, Inc. He is a Law Enforcement Officer that has served Miami-Dade since 1982. He holds a B.S. from F.I.U. in Criminal Justice. Currently, he is enrolled in the FB Mastery Program that promotes “Inspire, Educate, Lead” as a principle in redeveloping communities. He has bought, rehabbed, and sold single family and multi-family investment properties with an average rehab budget of $25,000+. Carlos utilizes unparalleled rehab systems which allow him to complete every project within a budget and a timeline. Our company has honed our marketing to a point where we’re pretty darn good at it. We find and acquire deeply discounted Miami-Dade real estate then make those properties available to you at DEEPLY discounted prices from current market value. You may have even seen some of our marketing around Miami-Dade.